This week Rose overcame jet lag, went to two marathon doctor appointments (including blood draws and four shots), got her surgery and early intervention appointments scheduled (sort of), gave up her resistance to the car seat, endured Bryce feeding her a bottle (and retaliates by throwing it across the car when she had had enough), learned to wave, started putting weight on her legs, moved from her bed in the girls' room to a pack and play in my closet (much to the relief of everyone), listened to her brothers and sisters fight over who could hold her at least 50 times, blew out her diaper four times, got introduced to the jogging stroller, and went to church for the first time. So many firsts in one short week! If she didn't seem to be doing so very well, I might be worried, but honestly Rose seems to be breezing through the transition so far. I know we're not out of the woods yet and may have hard time ahead of us, but right now I'm delighting in my happy, social, inquisitive, delightful baby. I'm so grateful that even though she's 11 months, she still feels very much like a baby. I was so sad that I might miss that phase of her life, and while I'm eager to get her up to speed on some of the things she couldn't do in the orphanage, I'm also enjoying this stage. I'm not enjoying trying to balance the baby phase with the preteen busyness. I've never done this before since Bryce was only six when Maren was born. I never figured out how to do swim team plus piano lesson plus dance plus scouts plus cranky baby all on the same afternoon. Algebra is ten times harder with a baby on your lap. But we'll figure it out. And until then, I'm lucky to live in a neighborhood where burgers, burritos, beef with broccoli and pizza are all just around the corner. Here's our bouncy baby girl, stuck in the jumparoo until she gets some muscles in her thighs! I'm sitting here, typing this blog post, with Rose on my lap. Four of the eight stacking cups are already on the floor, so I figure that I have four more cups to be dropped before I have to wrap things up. Things are going well here. In fact, everything is almost too good to be true. I expected horrors and gnashing of teeth in our transition, but other than a couple of incredibly long nights and four older siblings who have nearly drawn blood over who gets to sit with the baby, things have gone very well. I keep waiting for the other shoe to drop. But for now, we've had Rose for almost exactly two weeks, and while I know we're all still adjusting, the transition has been pretty seamless so far. She seems to like us, and we absolutely adore her, and she slept for 12 1/2 hours last night, so life is good. A quick recap: We flew home on Wednesday, and it really was the longest day of our lives. Rose did great on the first flight out of Guangzhou, and Annie very nearly cried when they gave her ice in her Diet Coke in the Hong Kong airport. The girls both slept five or six hours on the flight from Hong Kong to LA, and Rose only had one extended crying jag-- I had just handed her the bottle and started standing up to go get it filled with water when we entered a bad pocket of air and had to sit in our seats for forty turbulent minutes, during which she screamed the entire time. When we got back to Salt Lake, the kids were waiting with signs and balloons, and Rose tolerated our pizza party for 20 family members, all eager to see her, once we arrived home. The next few days were rough for me, since I averaged 2-3 hours of sleep a night for about three nights. But on Friday night I got 12, and last night I could have had a bunch if I hadn't been in such a hot hurry to watch Mad Men (it was worth it!). And Rose seems to be settling into a routine of sleeping a dozen hours at night and taking a few catnaps during the day. I'm so happy for her. I'm a person who loves a routine. I wake up every morning and run eight miles. Then I eat a protein bar for breakfast, send the kids off to school, and get to work on my computer. I put in a load of laundry every morning and fold it right before the kids get home in the afternoon. It may sound inflexible, but I like my schedule. If we're at home and I miss a run, it's because something cataclysmic is happening. But in China, I didn't run. I ate big breakfasts from the buffet every morning. When I did laundry, it was in the bathtub, and I forgot what happens to wet laundry in humid climates and came home with several mildewed t-shirts. We were so far out of our comfort zone that I didn't miss those things nearly as much as I thought I would. I don't know all that much about Rose's life in the orphanage, but I suspect it was pretty scheduled too-- it wasn't this sleep-in-the-ergo-eat-when-you-want-to-cuddle-in-the-bed-at-night-experience that she's having now, so I'm trying to balance her experience with routine with being flexible enough to help her know that she can have what she wants and needs even if it's not on the schedule. We're down to one stacking cup, and I need a shower (the pre-Rose me would have been out of the shower two hours ago), but there's an update for you. The next one will have pictures, I promise. And today we're meeting with the cleft team so we should have an idea of when her surgery/surgeries will be. Wish us luck! And we'll be on a plane, headed for Hong Kong. To be followed by another plane, bound for LA. And then a third plane, which will take us home. Home sounds just about perfect right now. We've loved our time in China, and I haven't been homesick, but I do miss my kids and Eddie, and I'm eager to put the lines and the restaurants behind us and start real life with our new girl. Both of the girls have made great strides. Annie ate Cantonese food for dinner (and liked it!) and she suggested two outings today, one where we had to take to the streets and walk through a metro station at night. She did great, and found the karaoke-singing beggars entertaining rather than scary. Rose, who started out sick and scared 9 days ago, is now silly and laughing and never wants to be out of my arms (this will be short, since I'm typing one handed on the iPad with her sleeping on me). I'm proud of both of them. Tomorrow will literally be the longest day of our lives (38 hours long!). We'll leave Guangzhou at 10am and land in Salt Lake at 3:50. Wish us luck. Rose was great on our last flight, but it was only 10% as long as tomorrow's flight will be. But at the end, we'll be home. Ready to start life as a family of seven. The adventure is just beginning. Some of our first days in China, the days in Nanjing, we're hard because we didn't have enough to do. If you know me, you know that I don't know how to sit and relax under normal circumstances. And in those early days, there was a lot of sitting around, primarily because it was just too darn hard to get around, but also because Rose was sick and she needed to adjust to us. Since we've arrived in Guangzhou, we've been busy all day long. When we're not doing adoption related visits, we're sightseeing. Today we did a whole lot of both. We started the day with an appointment at the US Consulate at 8:30, which meant getting up at 5:30 to have time to feed the baby, dress her, shower, do some Face Time with the kids at home, hit the breakfast buffet, and actually get over to the consulate building. Then we went through metal detectors, stood in line, and waited (notice a pattern developing here?). We got back with just enough time to change Rose out of her pretty Chinese dress (the purple one in yesterday's picture) and join the group for a trip to the safari park. The safari park is basically a zoo, plus a circus, plus Disney's Animal Kingdom (including the inescapable gift shops at the end of the best exhibits), minus the abomible snowman ride. Here are some highlights. The animals were awesome and the train we took got us really up close and personal. While we were riding the safari train, Rose sat next to Meiya, who is twenty months and also in our travel group. They both have unrepaired clefts and spent a good amount of time trying to probe each others' mouths. They also held hands several times, but we never managed to get a good picture. It was super cute, trust me. All things considered, Rose and the other kids were remarkably tolerant of their day. It was hot and I felt more than a little grouchy by the end of the day, but Rose was a trouper. I'd love to report that we had a fantastic Cantonese dinner and Annie now considers herself fully converted to Chinese food, but that didn't happen. In fact, all I ate all day was a banana and a little donut from the buffet (we ran a little late this morning) and some kettle corn and part of an ice cream cone for lunch. So I really wanted a good dinner, and we had a delicious meal at an Italian place down the street (three other families in our group ate there too). It was nice to eat familiar food with good company in a place that didn't smell like fish. Now Rose is sleeping (in her crib, even! A miracle after she was up every 20 minutes last night) and I'm about to join her. These long days may be exhausting, but they certainly give me lots to talk about. We're headed back to shop at Shamian Island in the morning. Pretty excited about it. Any requests from the folks back home? Today started off on an inauspicious note, with Annie sick in the bathroom. We both felt a little bit off last night, and she was nervous about it this morning, so I gave her a pill to settle her stomach, and she choked on it and threw up, which did nothing to calm her nerves or her stomach. Then I gave her another pill, which she managed to choke down, but which made her incredibly sleepy. After a little nap, she decided she was well enough to go sightseeing. Our group visited the Chen Clan Academy, where I didn't get any pictures, mostly because I spent the time we were there feeding Rose and nursing Annie, who smelled a sewer and felt sick again. Annie is not a fan of sewer smell or beggars, both of each abound in Guangzhou, and she ends up with her nose in her shirt and tears in her eyes when we're on the street. She told me today that she doesn't want to leave the hotel anymore because it makes her sick and sad. Anyway, from what I could tell, Chen Clan Academy was a lot like the museum we visited in Nanjing, a quasi historical building with displays of furniture and handiworks from the area. I bought Annie a magic coke (that's what she calls it) and suddenly she felt restored. I'm so glad we didn't come in August. We returned to the hotel and tried (without success) to get Rose to nap. So we set out for Shamian Island, the former home of the American Consulate. The island is a lot like Charleston or New Orleans. It used to be the place that the British and French lived when they were not allowed on mainland China and the architecture reflects the island's heritage. It's lovely and walkable and Annie has made me promise that if we ever come back, we'll stay there (two of the families in our group are at the Victory and Annie thinks I made the wrong choice). We met up with Tina (sorry I missed you, Valerie-- no answer at your room) and we went to Jenny's, a little shop where I spent my entire wad and had to borrow 5 yuan from Tina to make sure I had enough to pay the taxi driver on the way back. If I told how much I spent on that haul, you probably wouldn't believe me. I think she'd be a lot better off with more sleep, but that is unlikely to happen tomorrow, when we start off the day at the Consulate and then head to the Safari Park. When we get back home I'll have to work hard at establishing naps and baby physical therapy to get Rose to some weight on her legs and realize that she can get where she wants to go without me if she learns to crawl and walk around furniture. Referral: I read the first chapter of The Lightning Tree when we were judging Segullah's short story contest last year (it won!) and Dunster contacted me when the book was finished to see if I'd read it. 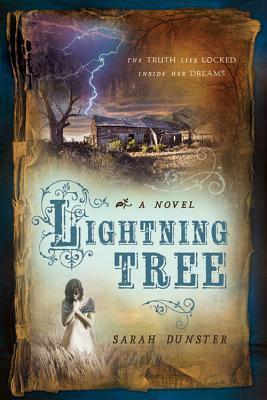 I'm writing this review as part of the blog tour kickoff for The Lightning Tree. Around this time last year, those of us at Segullah were deep in reading mode, working our way through entries for our short story contest. There were lots of interesting entries, but one story really stood out-- it was the story of a girl living in Provo in the mid-1800s whose only friend, a stepdaughter of Brigham Young, was suddenly leaving town. This girl, Maggie, wanted to say goodbye to her friend and didn't understand why she was leaving. The story put the reader very clearly into the world of the late 1850s and I finished the story wanting more. It was very clear that this author had serious writing chops, and equally clear that Maggie's story wasn't finished when we came to the end of what we'd been given. So I was delighted to learn that Sarah Dunster was working on a novel, and even happier when I found out that the book had been selected for publication. The Lightning Tree tells the story of Magdalena, a convert from the mountains of Northern Italy whose parents died on the trail west. The Aldens, a family traveling west in the same wagon train, take in Maggie and her younger sister, and settle in Provo. Several years pass, and Maggie, a teenager, has a hard time remembering the journey to Provo and the details surrounding her parents' death. But as the tension in the city rises and people begin whispering about which men were involved in what happened down in Southern Utah (that "what" being the Mountain Meadows Massacre), Maggie begins to dream about and remember some of the parts of the past she has forgotten or suppressed. Dunster's book is an interesting look into trauma, repression, fitting in, and what it means to belong to a family. While the book is set against the background of Mountain Meadows, and many of the issues Maggie is dealing with are echoed in the way our church has or hasn't acknowledged their role in Mountain Meadows, Dunster does a great job telling a story without editorializing. I felt that I was getting Maggie's story, not the story of how evil those Mormons were or how the poor Mormons were maligned and misunderstood. In fact, the only "message" that I get from the book as a whole is that everything, even our memories and the people who love us, are more complicated than we given them credit for, for good or for bad. All in all, I think The Lightning Tree is a well-written, important, unsentimental work of historical fiction. Its Mormon setting is important, but I think that the book would have lots of crossover appeal to those interested in western history, and not just to a Mormon audience who wants a faith-affirming story. You may have noticed the precipitous drop off in my posting, which has nothing to do with Rose's transition and everything to do with the fact that Eddie flew home yesterday morning and I lost a very important set of hands. And Rose, who the orphanage director said was "so easy" and "very mild" is turning into someone who has figured out that these new blonde big people in her life will bow to her every command, and she's enjoying her newfound power. She doesn't even let us set her down for a second, which leaves me with no free hands for things like blogging on an iPad. So yesterday. It seems like a zillion years ago when I found Eddie eating pudding in the bathroom at 4am while listening to the BYU basketball game, but I guess it really was just yesterday. Since then we left Nanjing, endured a plane ride where Rose did much better than the stinky loogey-hocking old guy who penned me and Annie in (even though we had tickets for the aisle seat), and landed in Guangzhou. Eddie and I have likened Nanjing to Philadelphia. Both cities are near the coast but not on it, both are former capitals, and both are better known for being historical than for being cosmopolitan. Nanjing was cold and rainy and gray, and every time we took to the sidewalks, it felt like we were taking our lives in our hands. Cars, bikes and lots of electric scooters all played chicken with the pedestrians. We saw lots of car accidents, which wasn't a surprise since they seemed to have a Lord of the Flies approach to driving. And when you were watching for scooters, you had a great chance of accidentally stepping in pee or poo on the sidewalk. Annie ended up ankle-deep in a puddle one night and those shoes are going right in the trash. The hotel was attached to a fancy mall, and we spent way too much time there. It was just easier to navigate the mall than it was to face the crowds outside. If Nanjing was a busy, dirty Philadelphia (with a kicking' metro and awesome trains) then Guangzhou is New Orleans.... If new Orleans had been swallowed by a Las Vegas on steroids. We stepped off the plane and into a heat and humidity anyone who has lived in the south recognizes. It felt just like Houston in March. We've traded our fleecy layers and umbrellas for t-shirts and flip flops (and coming out of the world's stuffiest Cantonese restaurant tonight we once again got chastised because our profusely sweaty babies were not wearing enough layers). People drive on the street, there aren't nearly as many bikes, and other than the beggars and the overflowing piles of raw meat at the grocery store, Annie hasn't seen anything that has her nervous like she was in Nanjing. It was our trial by fire-- or at least by rain. The Garden is pretty much the nicest hotel I've ever stayed at. If you could just drink the water, you might even forget you were in China. Our room is not just fancy, it's FANCY. The bathroom has a remote control curtain opening up to the bedroom, plum blossom mosaic on the wall, and a shower room where the water shoots from the ceiling. We have room to spread out and our bed is total luxury. We are happy campers. We spent this morning in the cattle call to get Rose's physical. Imagine about 100 adoptive families all maneuvering strollers, wheelchairs, and babies in and out of rooms. The facility is brand new, but they really needed to put an in door and an out door on the rooms where the lines back up 30 deep. It took about two hours to get her weighed, measured, and checked out. We braved a Chinese pharmacy to get some antifungal cream for Rose's neck (drooly baby + antibiotics = big mess on the neck) and then had our aforementioned grocery shopping experience. We tried to have dinner with the group, but Annie was tired and Rose would only consent to sit if she could hold onto all of my porcelain dishes, so we bowed out early and came home to a quesadilla. I think Annie thinks it was the best quesadilla she ever ate. In truth it was kind of bland and soggy, but hey, in China you take what you can get. First of all, no pictures in this post. My iPad is hard at work uploading every picture we took at the orphanage today, and at the rate it's going it might be 5am before its done, so I'm cranking this out quick on my phone. If you know me, you know that 9pm is my bedtime when I'm at home, and it's already after 9 here, and I'm beat. It's hard to know what to say about today. I could write about how awesome the bullet train was. And it was awesome. We traveled part of the Beijing-shanghai line, and it's almost as fast as a plane but far easier and cheaper. But it doesn't feel right to be prattling on about technology or the subway worker who showed us pictures of her baby then proceeded to chastise us because Rose was only wearing three layers. And my first experience with a squatty potty, which happened with a baby strapped to my chest and no tissues? That's a story I'll tell you later. Todays visit hit us hard. The first room we went into was filled with preschoolers who will probably never have parents. They were sweet little ones who flung themselves at our legs. One little girl demanded that Michael, our guide, pick her up. We walked down cold halls into rooms filled with too many kids and not enough adults. The adults who are there do a great job. It's obvious that they really love these kids, but they need moms and dads. To see room after room of babies flat on their backs, and to know that until three days ago your baby was one of them, is more than a little heartbreaking. After that, our guide took us to Rose's finding place. We've been sheltered so far in China. We've visited tourist attractions and places like the Aqua City mall, which reminds me a lot of the Galleria in Houston. But Rose's finding place felt about a million miles away from the China we've experienced so far. We turned onto a side street, then onto a smaller side street, and then into an alley, and then we came to the spot where she was found late at night, at two days old. It's impossible for me to look at the spot without thinking what could easily have been if no one had heard her cries on that April night. And in happier news, Rose and Eddie are quickly becoming best friends. He's rolling her around on the bed and throwing her up in the air an eliciting the biggest belly laughs. It's wonderful to see them warming to each other so quickly. She's cooing all the time and has basically perfected the art of sitting, which she wasn't doing when we got her three days ago. She delighted everyone on the train; they clucked their tongues at her and she laughed and waved and clapped her hands. All is right with my own little world, but I'm not sure I'll sleep tonight thinking about the ones we left behind at the orphanage today. Tomorrow Ed leaves for home. The girls and I will head to Guangzhou (formerly known as Canton), a city about an hour from Hong Kong. The American consulate is there so we'll spend five days engaged in visa-related stuff. Should be fun. On a final note, Annie is getting used to the staring and is far less paranoid than she was three days ago. That's a good thing because her bodyguard is leaving in the morning. With our guide out on an orphanage visit with one of the families in our group, we had a kick back day near the hotel today. The farthest we've ventured was the mall next door, where a custodian chastised us for the inch of skin showing above Rose's ankle. Rose had her first swim in the pool with Daddy and Annie, which was much less traumatic than getting into and out of the swimsuit. We're also getting to know her. She's been laughing and cooing and entertaining us all day. She's not a huge fan of toys, instead preferring zippers, watches, rings, and any small mobile device. She got really excited and started kicking her legs when Annie started Angry Birds, which leads me to believe that the ayis in the orphanage introduced it to her already. What time is it? It's time for lunch. She loves that finger. She sticks it way up in her cleft. We've had her first giggles and smiles this morning and Rose learned how to clap her hands. When Rose is happy, we're all happy. First of all, the big news, Han Hui Jue is officially Rose Huijue Miner. We returned to Civil Affairs today for the signing, where baby-related chaos ensued with seven adoptive families all there at the same time. There were seven kids, fourteen parents, six siblings and a grandparent, plus the orphanage directors and nannies and government officials. It was a party. I have a few pictures, but it has been a really long day, so forgive me for being too lazy to transfer and post them. Our really long day started around midnight when Rose woke up, stuffy and crying. She was stuffy and wheezy when we got her, but she seemed okay last night. I fed her part of a bottle and she fell asleep, then woke up ravenous at 5. She took a bottle, then had a bowl of rice, then demanded another bottle. Then she ate some congee at breakfast. She fell asleep on the way to civil affairs and slept the whole way through her adoption. When she woke up, she was miserable. Grabbing at her ears, crying, shaking her head no. It was pretty obvious that our girl had an ear infection. We got some drugs into her system, and she fell asleep again, and slept right through our trip to Purple Mountain, which is like a national park honoring Sun Yat Sen, a revolutionary leader. We didn't get any pictures there, but the trip was Annie's worst nightmare. She's been very nervous ever since I mentioned that people might try to touch her hair. Purple Mountain is a popular tourist destination for Chinese people, and I think we were more interesting than any tomb or mausoleum. "Corn Lady"
(so named because she was eating an ear of corn) followed us for at least fifteen minutes, sometimes giving me less than six inches of personal space. When we stopped so the more intrepid people in the group could hike all the way to the top, a group of old ladies with ice cream plopped down right next to us and stated until we finally left. Dozens of people took out picture. Now I know what the elephants in the zoo feel like. Anyway, Rose is still miserable, but she's sleeping. She's refusing to eat or drink anything and it's pretty heartbreaking. I hope the antibiotics kick in and she starts to feel better. I'm gearing up for a rough night. Poor baby. I was prepared for tears. For silence. For a girl retreated within herself. And maybe that will come tomorrow or the next day or when we get home. I was not prepared for an easy afternoon with a little girl who came to us quietly and curiously, who laughed with us when we stripped her down to her t-shirt and blew raspberries on her tummy, who took her bottle while she looked into my eyes and played with my hair, who loved her bath, and fell asleep snuggling with her daddy. I know that some days will be hard, but today was blissful. We felt your prayers and thank you for them. And with no further ado, I'm delighted to present our first pictures of Rose. We made it through our last flight, got settled in Nanjing, braved the crowds at the mall to get big jugs of water, and got unpacked. We wanted to die, or at least to sleep for three days straight, but instead we went downstairs, made friends with the two other families from our agency, and ate the most un-American American Chinese food ever. We fell into bed, too tired even to wash the smoke from our hair and prepared for the nerves to take over and keep us awake. Nine hours later, with the light beginning to peek over the apartment buildings, outside our window, we woke up. We ran, ate breakfast, and are now contemplating braving the streets. In less than five hours, we'll meet our girl for the first time. I expected to be a great big ball of nerves right now, but I feel strangely calm. Maybe it's because China seems so far outside my comfort zone that in comparison, a baby feels easy. Of course, I know I won't feel that way in 24 hours, but it will get me through this morning. This is the second year in a row that Jason Wright has had a book selected as a Whitney Finalist in the General Category. Last year's finalist, The Cross Gardener, was one of those books I wanted to chuck against a wall. If I hadn't been reading on my brand-new iPad, I very well might have chucked it. It was sappy, it was overly detailed, it had angels-- in short, it was everything I disdain as a reader. Yes, I recognize that I'm revealing my prejudices here. And those prejudices continued into this year. I was NOT excited when I saw that another Jason Wright book was on the list of finalists this year. 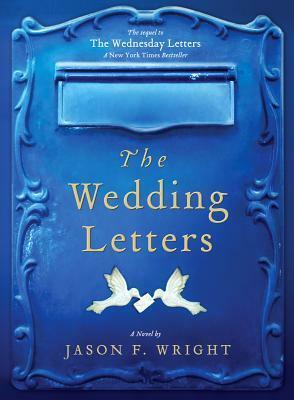 I purposely put off reading The Wedding Letters until I'd read all of the other General fiction finalists. But yesterday I decided I wanted to close out the category, so I picked it up. This morning, 326 pages later, I finished it. It wasn't bad. In fact, I kind of enjoyed it. The plot: The book is a sequel to The Wednesday Letters, but my impression is that it takes place several decades after that book, in the current day. Noah Cooper (possibly a baby in the first book, now a college senior) runs over Rachel one day while she's out on her bike. It's love at first sight. He take her home to meet his family in Western Virginia, where they run Domus Jefferson (worst B&B name, ever!) and they love her too. Noah proposes just a few months after they meet, Rachel accepts, and then she finds out some troubling information from her past, and she does a runner. Since the family (who has decided to sell the B&B) already has the weekend blocked off and the caterers booked, they transform the weekend into a celebration of the family's 40+-year history of running the inn. Just because I'm giving the book a (grudging) thumbs up doesn't mean I don't acknowledge some problems with it. First of all, it seems to be a conscious imitation of a Nicholas Sparks novel-- an epic romance against all odds, complete with grand plot twists. Wright acknowledges this several times. I think he refers to Sparks novels at least twice. I'm not much of a reader of Nicholas Sparks either, but I have seen The Notebook, and I think that Wright needed to spend a little more time really building up the love/drama/sexual tension between Noah and Rachel so readers would really want that dramatic ending. I knew it was coming, everyone knew it was coming, but I wanted to want it more, cheesy as it may be. And the details-- I don't need to know that Noah's truck is gold or that he buys a Diet Sierra Mist and a Kit Kat when he goes to 7-11 if those details aren't relevant. My prediction is that The Wednesday Letters will win the General category. It's definitely inspirational fiction, as are all of the novels in the bunch this year. Once I stopped trying to read the books as literary fiction and started trying to accept them for what they were, too many details and cheesy endings and all, I can see that this story in particular, is very likeable and that many readers who want a good story and don't want their ideas or their intellect challenged too much as they read will love the book. but for what it sets out to do, it does it well. Annie snapped this picture of me and Eddie sometime during our 14 hour flight last night. That's me under the blanket. It was freezing on the plane and the minor asphyxia that came from breathing in my carbon dioxide helped me sleep. Annie said I got some really weird looks. My biggest word of advice? Even if you got what you think was a paper ticket from your travel agent, be sure to check in online 48 hours before departure. We didn't and when we went to get our boarding passes we'd been bumped from our seats together to sitting in three separate middle seats. We used Annie as our excuse to get seated together, but we ended up in the loud seats right near the galley. Oh well. We survived. But Ed is threatening to upgrade to business class for his trip home. A 6'4" frame doesn't do well in an economy seat. Hope to check in once we've made it to Nanjing. Tomorrow is Rose day! Can hardly believe it! What do you get when you cross Maisie Dobbs with Bridget Jones? Lady Victoria Georgiana Charlotte Eugenie, 34th in line to the British throne, penniless, and boy-crazy to the max. Georgie moves out of her brother's cold and gloomy Scottish castle to London, where she reconnects with old friends from school, gets bossed around by her great-aunt (the queen), finds a dead man in her bathtub, tries to find a suitable job, and finds herself in all kinds of trouble. Although the book's title posits Georgie as a spy, she's actually kind of an anti-spy-- she keeps getting in terrible situations and narrowly avoiding death. The actual mystery of who killed the awful man who wanted to take away the castle and then kept trying to off Georgie isn't all that suspenseful (I had him pegged from the beginning) but the writing is fun, and Georgie is a great character. 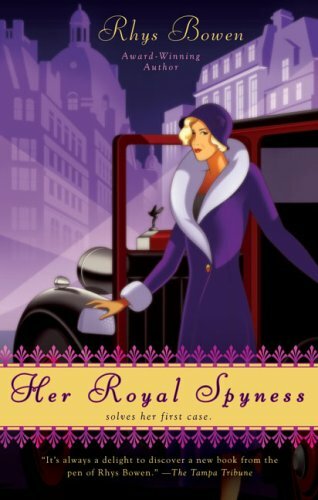 I love the way that Bowen uses actual historical characters (including the Prince of Wales and Wallis Simpson) as significant characters in the novel. The history feels well-integrated and I didn't care too much that the mystery wasn't that mysterious. I'll keep reading these. This morning I woke up with a cramp in my leg at 4:15. My alarm was set for 4:45 and I thought I'd get a few more minutes of sleep, but I woke Ed up when I ran screaming from the bed and then it was all over. No more sleeping for us. Then I ran 19.5 miles. Last long run for who knows how long. I'm lucky to have the best running buddies. All three totally spoiled me with baby hair bows, toys for the plane, and fancy chocolate. Then we had to say goodbye to these sweet faces. The flight to San Francisco was uneventful, aside from the guy sitting behind us who talked the entire two hours at full volume. Annie did homework. Once in San Francisco we took BART downtown, then hopped on a cable car to Fisherman's Wharf. Where they ten the cars around. Today has been great-- totally relaxing and fun. Even if the rest of the trip is insane, today was a wonderful start.